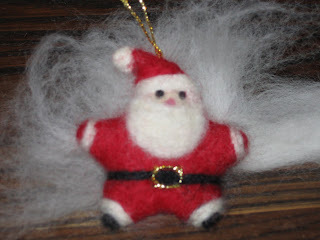 Star Santa Ornaments, Needle Felted and ready for the tree. I had fun making these. The inspiration came to me as a grab bag gift for a party I am attending. They are made with dyed red wool and alpaca accents. Available in our farm stand which will be open most weekends until Christmas, weather permitting.